The embalming materials of Ipi, vizier and overseer of Thebes and member of the elite during the reign of King Amenemhat I in the early 12th Dynasty, have been rediscovered in his tomb at Deir Al-Bahari on Luxor's west bank. 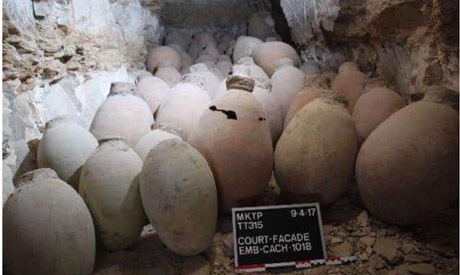 Within the framework of the Middle Kingdom Theban Project, an international mission under the auspices of the University of Alcalá (UAH, Spain) has uncovered over 50 clay jars filled with embalming materials for the mummification of the ancient Egyptian vizier Ipi during the cleaning of the courtyard under his tomb number (TT 315). 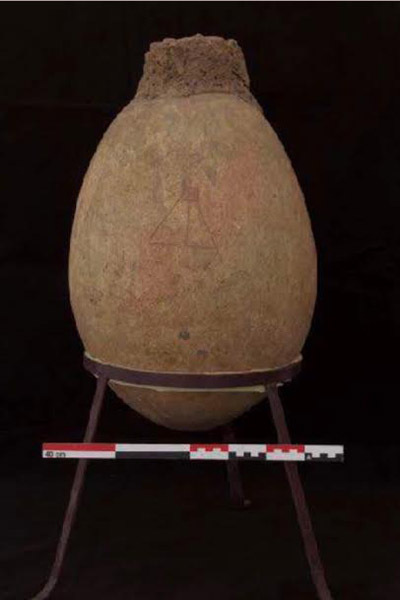 Mahmoud Afifi, head of the antiquities ministry’s Ancient Egyptian Antiquities Department, said that the jars were first discovered in 1921 and 1922 by American Egyptologist Herbert Winlock inside an auxiliary chamber in the northeast corner of the upper courtyard of Ipi’s tomb, where they were left as is. Time has taken its toll on the courtyard, which had been buried in sand before being uncovered by the Spanish mission. The jars hold equipment such as bandages, oils and salts, which were used by embalmers in mummification, as well as jars, bowls, scrapers, and a mummification board decorated with ankh-signs. 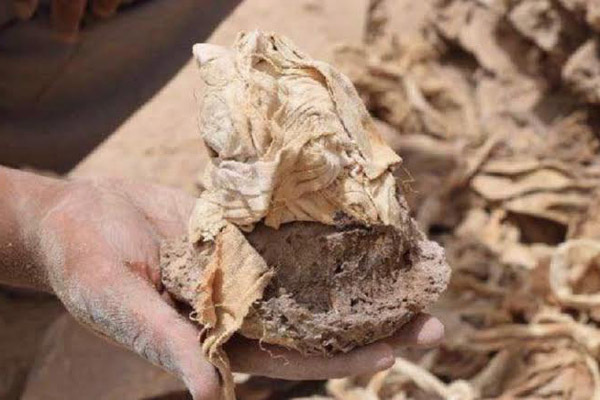 “The identification of these materials is of great importance for understanding the mummification techniques used in the early Middle Kingdom and the assessment of the kinds of items, tools, and substances involved in the process of embalming,” head of the Spanish mission Antonio Morales told Ahram Online. Morales added that the deposit of the mummification materials used for Ipi included jars with potmarks and other types of inscriptions, various shrouds and four-metre-long linen sheets, shawls, and rolls of wide bandages. There were also other types of cloth, rags, and pieces of slender wrappings designed to cover fingers, toes, and other parts of the vizier’s corpse. Team specialist Salima Ikram has identified what seems to be the mummified heart of Ipi, an uncommon practice that no doubt deserves more investigation. Morales said that the deposit also contained around 300 sacks of natron salt, oils, sand, and other substances, as well as jar stoppers and a scraper. Among the most outstanding pieces of the collection are the Nile clay and marl jars, some with potmarks and hieratic writing, various large bandages six metres in length, as well as a shroud used for covering the body of the vizier Ipi; a fringed shawl 10 metres in length. 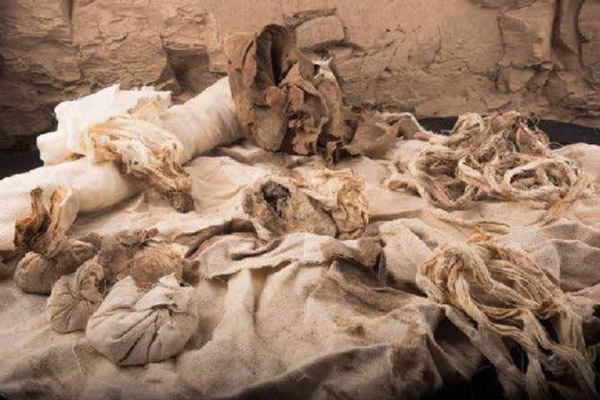 There are also natron bags that were deposited in the inner parts of the vizier’s body, twisted bandages used as mummy packing, and small pieces of bandages for the upper and lower extremities. The collection should provide members of the Middle Kingdom Theban Project an excellent opportunity for the scientific analysis of the substances, components, textiles, and human remains found in the embalming cache, as well as the technical procedures and religious rituals used in the mummification of a high official in the early Middle Kingdom. 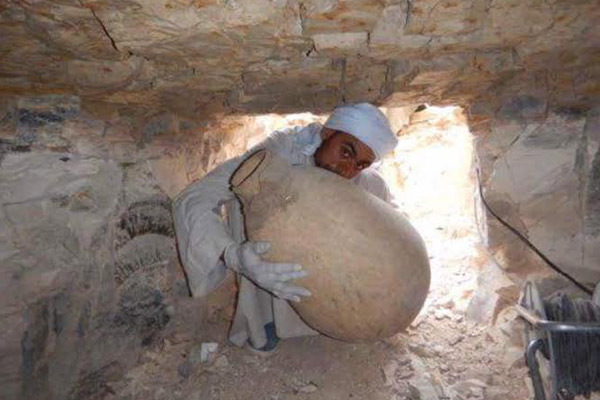 Ezz El-Din El-Noubi, director of the Middle Area of Al-Qurna Antiquities, said that the discovery was made during the third season of project by the University of Alcalá Expedition to Deir El-Bahari in collaboration with the Ministry of Antiquities and the Luxor Inspectorate. The main purpose of the project is the archaeological study and epigraphy of the tombs of Henenu (TT 313) and Ipi (TT 315), the funerary chamber and sarcophagus of Harhotep (CG28023), as well as the conservation and detailed publication of information of these monuments and others located at Thebes.